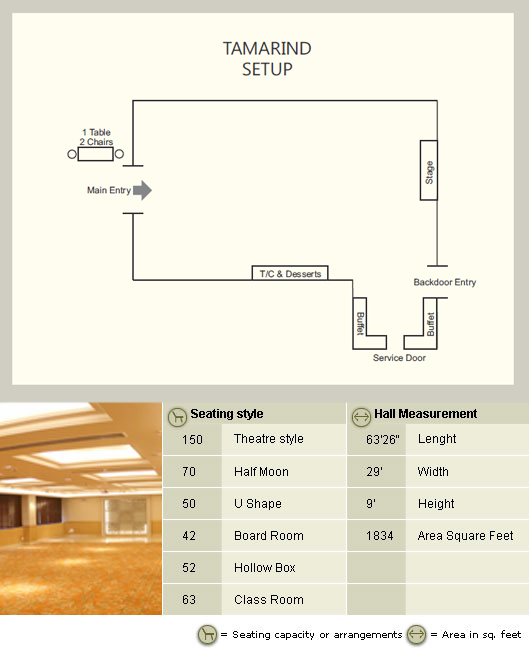 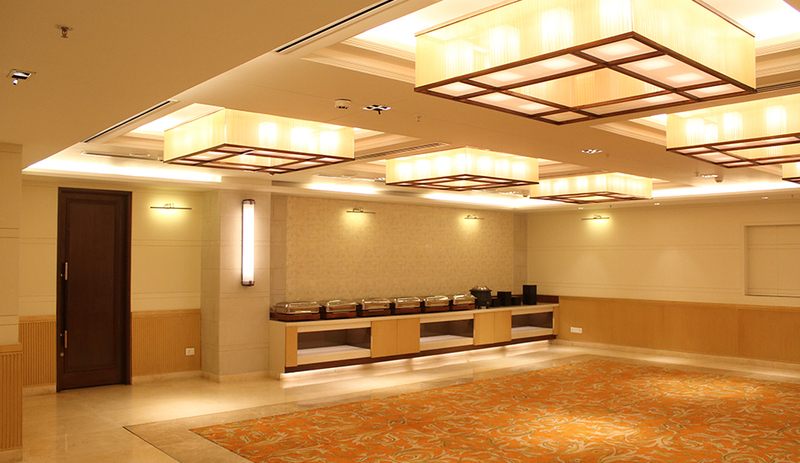 Elegantly carpeted, Tamarind allows versatile use of space for everything - ranging from conferences, seminars etc. 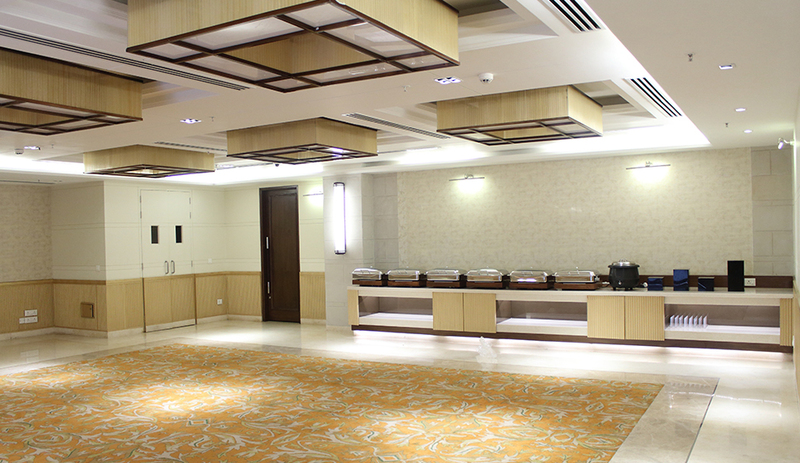 to the finest banquet parties in the evening. 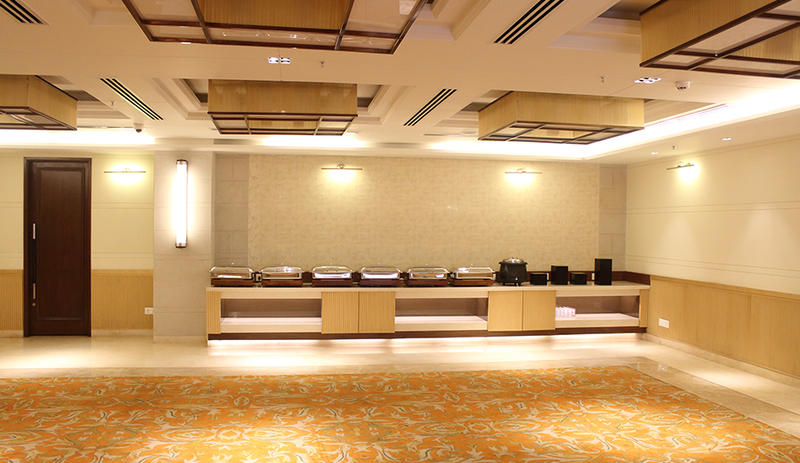 Located on the first floor, the food setup is provided inside the hall only.